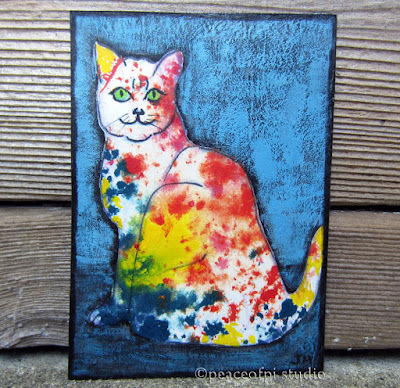 Ever think a cat's markings look like inkblots? Well, this kitten's fur is a riot of color with red, blue and yellow splattering her white coat. 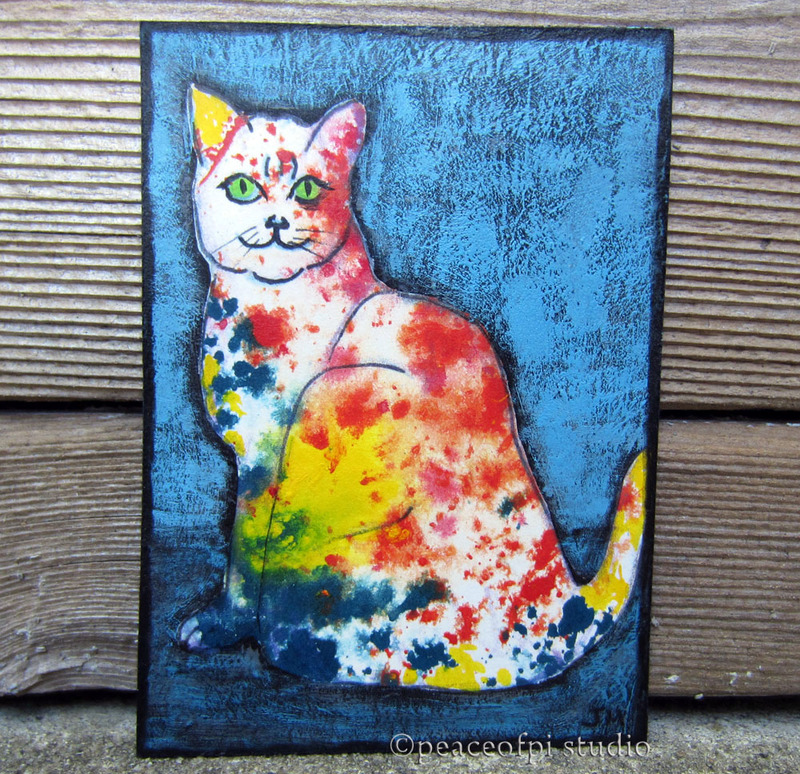 It's a miniature painting, ACEO sized (ACEO = Art Cards, Editions and Originals) at 2.5 X 3.5 inches. Was this spotted cat born this way or did she visit an artist's studio and play? Either way, this cat is one of a kind.